Calling all Plushies and Curvilistas! get excited because upcoming on my blog is a project collaboration with Flow by Valiram and Mandarin Oriental, Kuala Lumpur for 10 special blog followers who is big, bold, and beautiful like me. Imagine, a shopping day with me, posing infront of the fitting room mirror trying on every dress, top and kaftans from Ning Baizura's collection that catches your attention. We girls (yes forever a girl) just love shopping and having fun. 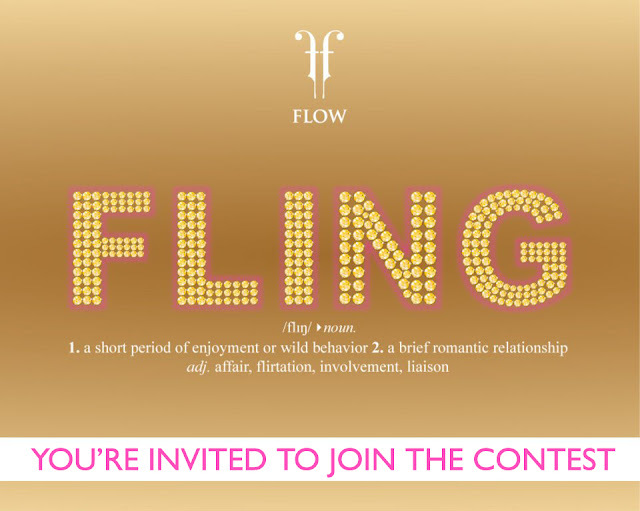 This Fall, get ready to fling with me at Flow and then to a fabulous afternoon tea (to show off what we got & share our thoughts) at Lounge on the Park, Mandarin Oriental. 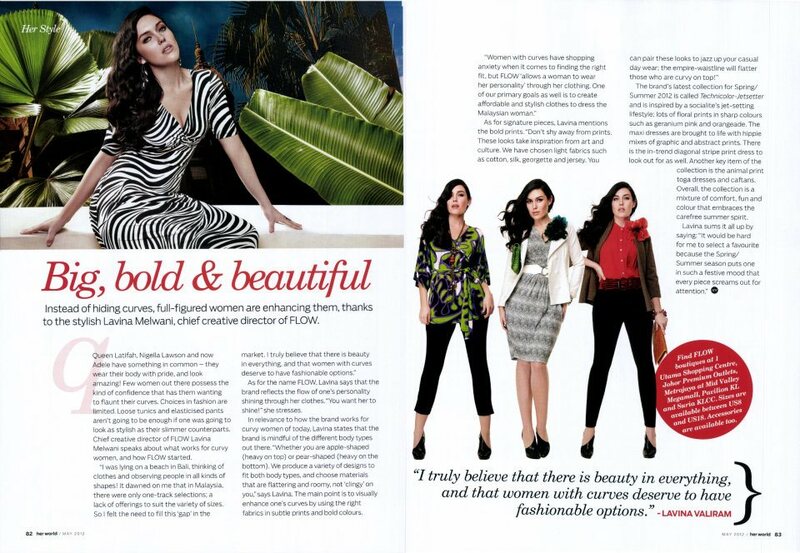 “Ning is the Malaysia icon. She exudes elegance andstyle. Her confidence shines through in her work. We at FLOW believe the first step to having a successful work or play life is confidence. When FLOW decided to team up with Ning, our vision was to bring her sparkle, capture it and offer it out to our customers in her collection, Ning’s Fling. The collaboration has been fun, creative and most importantly, the collection is looking fabulous!" - Lavina Valiram, FLOW Creative Director. For a preview of Ning's Fling, check out the photos below. Hope you're counting the days till the contest, share this news to all your fellow sisters in the city! In the mean time, please support the following partners in this collaboration by joining their facebook page (click on each header to go to their fb page). A plus size girl who grew up in the town but moved to the city and started shopping and then sharing her escapades on her blog called the Plus Size Kitten. Going by the motto of Big, Bold & Beautiful, she has since grow from being a quiet, timid, girl next door to a lady who is empowered to voice out her beliefs and conquer Kuala Lumpur by spending (though her fiance would kill her). Her passion includes pampering herself, beauty product & service review, any girly events and activities that might be of interest to her readers and fans. Last Oct, 2011 she won the Cleo Next Top Blogger competition and appeared in several TVC and media campaigns. It defies the norm and pushes the bar higher, encompassing all women and acknowledging the potential of bringing out the goddess within. Art and style are its hallmarks and the clothes are brought to life with superior tailoring techniques for all proportions and silhouettes. A distinctly tasteful collection of accessories is available in store to complete the ensemble. FLOW lifts the veil and bursts forth with the promise of freedom for the curvy woman. A place where she can honor, caress and glorify her femininity. Mandarin Oriental, Kuala Lumpur offers an array of delectable dishes and cuisines across a variety of restaurants, each elegant and sophisticated. The visual centerpiece of the grand lobby, the Lounge on the Park is where all activity converges. Immersed in natural light from its floor-to-ceiling glass windows, the Lounge offers scenic views of lush landscaped gardens and creates a casual environment where guests can dine and relax. wow!!!!!! so nice... nak try lah boleh? siapa berisi dan comel macam saya boleh! arwen! i recall you're not plus size!! u have model body right? aww.. I seriously need to do some shopping after leading a nomadic life for about 14months! and daddy said I'm looking like a homeless hippie oredi =x hahaha! 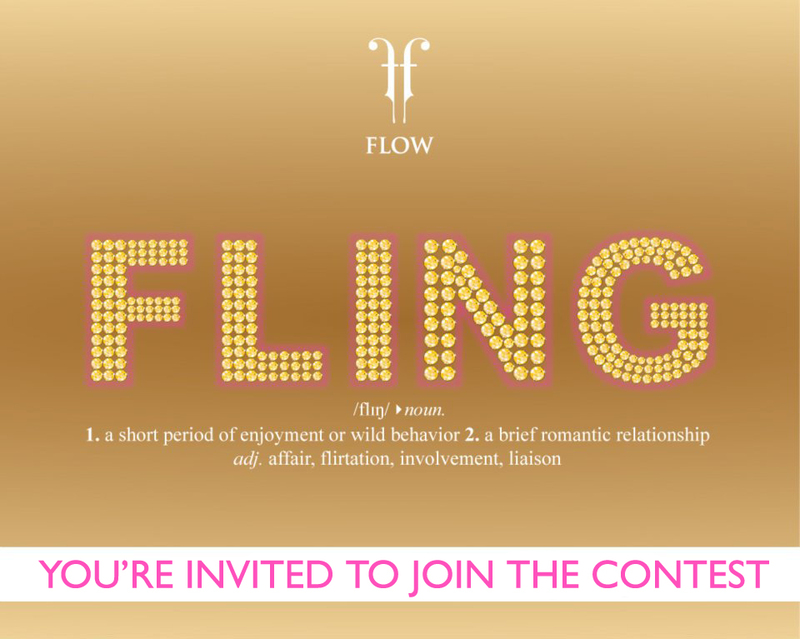 seriously after seeing u fling with flip flops, u gotta join this contest n fling with me! where can I get Ning Fling? Where's teh boutique? Miu babe, i nak beli the one Ning is wearing in the star 2 photo - the black & white patterned top. soooo pretty!! Oooooooo fling is by ning..... Wow! It helps me to know about this. You have been shown importance topic on ''Fashion style of lady '' . Vary nice this cloth fashion.So,I support this site. It will inspire me always. This is very nice post! I will bookmark this blog as I have Welcome to Rugstar.com.au, Australia's favorite online rug buying groceries in Australia: we get direct deals from the producer to you! We sell an implausible range of Australian favorite floor rugs, carpet rug, by way of shopping on-line you'll keep on shaggy, modern, wool, traditional and lots of different rug designs.